Houseboats floating on the lakes make the visit an adventure for all visitors. 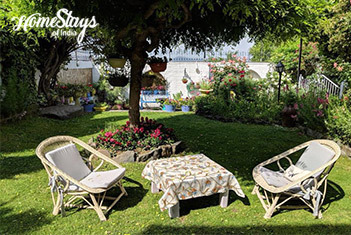 It’s a boutique homestay surrounded by Zabarwan ranges, located close to the famous Mughal Gardens and a short stroll away from the Dal Lake. 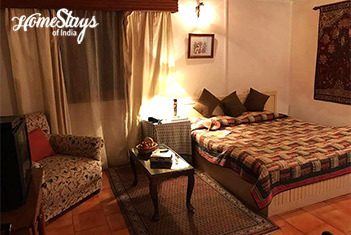 Experience bliss in the spacious rooms with attached cozy bathrooms, designer furniture and private dining. 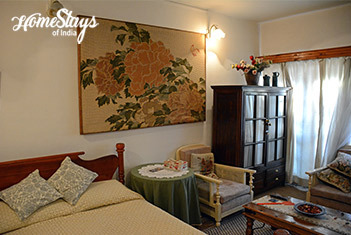 It has luxury suites that meet your desire of comfort and sophistication. 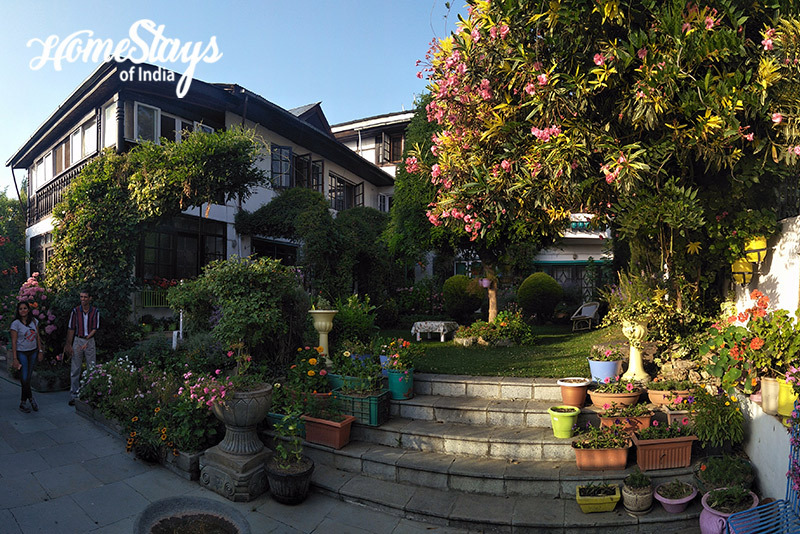 Have breakfast in the courtyard and enjoy the home cooked delicious meals. 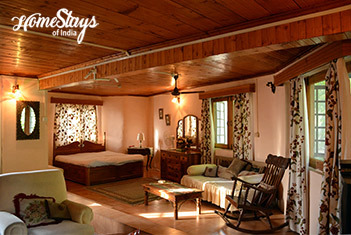 You can also cook your own meals in a separate kitchen equipped with all modern facilities. Come and enjoys Kashmir while living here. 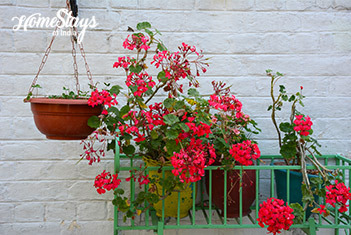 Yasmin Ali is the owner of the Home and gives meticulous attention to details. She is very warm lady, loves to entertain and make new friends. She is a very knowledgeable person and happy to help in planning your tour. 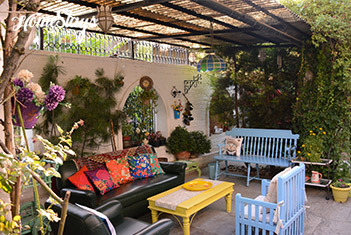 Yasmin serves homemade Kashmiri local cuisine and North Indian food. Breakfast as per guest choice like, Paratha with curd, Sandwich, Butter Toast, Bread Omelet, Cereals, Fruits, Juices etc. Non-Veg is provided on prier demand.